• The accessory above may not be available in selected areas. preventing recording (see page 92). a fully charged battery pack (see pages 6, 7). few hours for the dew to dry away (see page vii). use it with this camcorder (see page 73)*. 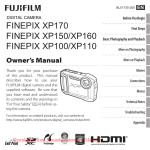 card to use it with this camcorder (see page 73)*. Recording mode. Press the PHOTO button (see page 70). with VL-Z5) or a MultiMediaCard (commercially available) for storing still images. • For cleaning the viewfinder, see page 95.
nearest the center will be focused on. that are not selectable are greyed out. when using manual iris (see page 55). VL-Z5) to begin/stop recording on tape. display the date (or date and time). a scene setting is selected. recording function is disabled (see page 92). you use the AC outlet for the power supply. select two different methods of file numbering. captured when inserting a new card. numbers when inserting a new card. new one (see page 11). speed of motion of the selection frame. recorded on a card on the LCD monitor. search through the images on the card. the images in full screen or thumbnails. picture quality setting used during recording. ZOOM T button to zoom in. to shift the displayed image. reduction in picture quality for still images. button to set delete protection. • The R indicator appears. repeat steps 4 to 5. • The PROTECT indicator appears. cancellation in step 4 above. button to cancel the protection. • The R indicator disappears. memory of a card for new images. button to set the image. button to delete the image. • The DELETE indicator appears. • The protected images cannot be deleted. then perform the procedure below. (the protection setting will not cancel). • The DELETE ALL? indicator appears. DE L E T E ALL ? Press l or m to select “PRI. • The PRINT indicator appears. button to set the print order. • The M indicator appears. order, repeat steps 6 to 8.
indicator, press the Operation button. • The M indicator disappears. image is set to 1 print out. Print Order to an Image”. PR I N T ALL ? P R I N T NON E ? • The M indicators are turned off. Using the supplied USB cable, you can transfer still images to a computer. • The USB driver is not compatible with Macintosh operating systems. • Do not connect the camcorder to the PC with the USB cable at this point. Insert the supplied CD-ROM containing the USB driver into the CD-ROM drive. • The Setup screen will display automatically. • The example screen shown is for Windowsb XP. 2 type “R:\SETUP.EXE”, and then click on the “OK” button. Click the “USB driver” button. • If your computer gives you the option to restart, you may do so. Insert a card that contains recorded still images into camcorder. Connect the camcorder to the PC with the supplied USB cable as shown below. Hold down the Lock button and set the Power switch to w.
• PC will recognize the camcorder automatically. files and on a card as shown below. Close Explorer or any open applications. be able to recognize it. of disconnecting USB cable in detail. then set it to w again. confirming the data recorded on a card. another in order of recording. sound in Card Camera mode will turn off. the camcorder (see page 10). SmartMedia/ card or Memory Stickb. direction. Do not try to force the card in. • Do not disassemble or modify the card. • Do not strike, bend or drop the card. • Do not allow the card to become wet. • Do not peel off the card label. • Do not expose to extreme heat sources (e.g. • Do not store in a highly humid or dusty place. data and a selectable mechanical writeprotect switch. with the following card memory types. handling of the storage media. buildup around the card contacts. card with a soft, dry cloth. card surface, which can cause malfunction. allow it to evaporate and dry naturally. acronym (either SDMC or MMC). • Do not power off any devices while transferring data, as this may destroy the data. or other permanent storage media. data stored on the card. and turn on power (pp. 6, 7). Set to Auto Focus mode (p. 53). Zoom out from subject (p. 23). cable is not properly connected. “OFF” for video connection (p. 65). Cannot rewind or fast Position at beginning or end of tape. Rewind or fast forward tape to desired point (p. 27). AUDIO menu item set to “AUDIO 2”. DIO 1” or “AUDIO 1L2” (p. 62). with a fully charged one (pp. 6–8). The images are recorded in self recording with reversed grip. using a commercially available editing software. Turn on Rotate Playback (p. 50). Cancel the protection setting (p.
Contact your dealer for advise. Replace new lithium battery (p. 12). Stop recording and try again (p. 23). Cannot delete image Image is delete-protected. Turn on backlight (p. 24). Protect remote sensor from exposure to intense daylight (p. 46). control from different angle (p. 46).